Type English in the box given below. As soon as you'll press SPACE, the word will convert in Gujarati. For example, to write "ગુજરાતી" you should type "gujarati" and then press SPACE key. If you want to type something in English in the middle of Gujarati text, press Ctrl+g to toggle between English and Gujarati. 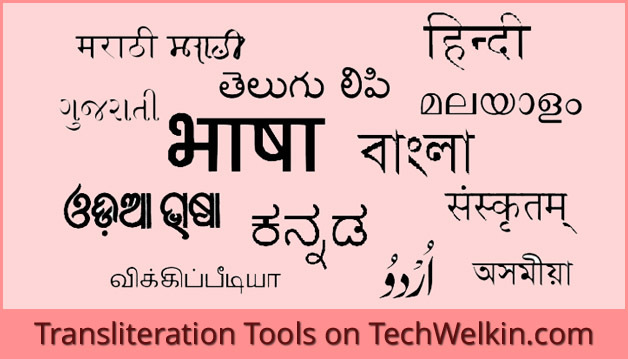 TechWelkin English to Gujarati Conversion Tool helps you in conveniently typing Gujarati text using Roman English keyboard. This tool is powered by Google and it automatically transliterates the words written in Roman letters into the Gujarati script. This facility helps Gujarati content developers (e.g. professional bloggers, authors and journalists) to do online typing in Gujarati language. You can also save the text type in here in your local computer. The tool also provides a facility to save the typed text in a Microsoft Word file. The Save option may not work in Internet Explorer; in the event of your using Internet Explorer, you can copy the typed text and manually paste it in an MS-Word file to save it for later use. Gujarati is the primary language of the state of Gujarat in India. At present, not much of Gujarati content available online. But Gujarati-speaking community is working hard to type out quality material. This tool is of great help to those who want to do English to Gujarati translation / conversion. Users of this tool have already typed a lot of Gujarati material and then posted it on their websites or blogs. Other Indian languages like Hindi, Marathi, Tamil, Telugu, Bengali etc. are also getting riched content on Internet. As this tool outputs the text in Unicode font, the typed text can be easily used in any computer or in Internet applications (e.g. Facebook, Twitter, Gmail etc.) Just type and copy the material and then paste it anywhere you want. Although the younger generation is more inclined towards sending WhatsApp messages, Facebook status updates and tweets in English language —but it is important for all of us to work in our mother tongue. Only then the beauty and variety of thoughts could be properly transferred to the next generations. We encourage Gujarati speakers to type in Gujarati script. Taking help of Roman keyboard is alright because we all are used to with it. The above tool helps you exactly in that. We hope that this facility would be of use to you. Do let us know what you feel about it. We’re constantly trying to improve this tool even further.